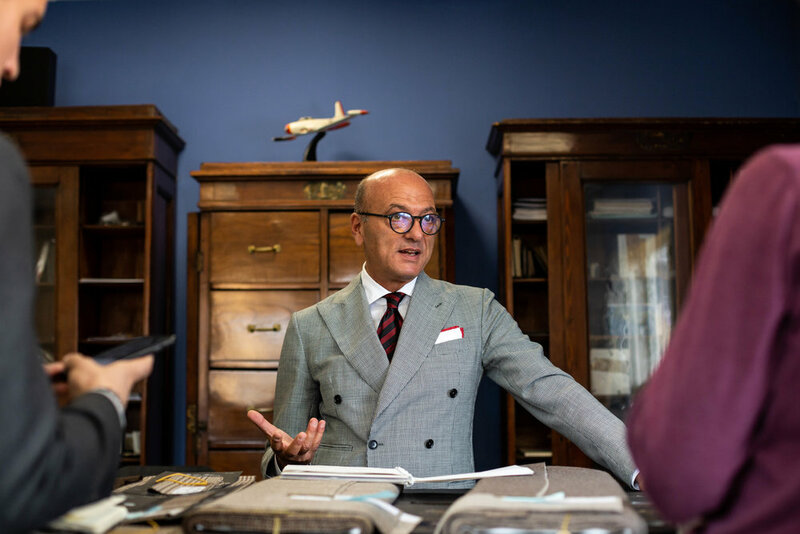 Mr De Petrillo was easily the most intriguing on my visit to Naples, he exuded something I’d not encountered on the trip and I still can’t put my finger on what it was. Aside his exquisite menswear brand, there’s more to him and the business than meets the eye. Many things hang on the walls in Benedetto’s office, some you might expect and one you most definitely would not and it certainly had the most intriguing story, something we didn’t delve into but it’s still swirling around in my mind today. Benedetto received an award from the local police for refusing to bow to the pressures of the local mafia, possibly extortion monies etc, I don’t know about you but that is certainly a statement of the mans character, he has an air about him that I’ve not really seen before and that was very refreshing indeed.